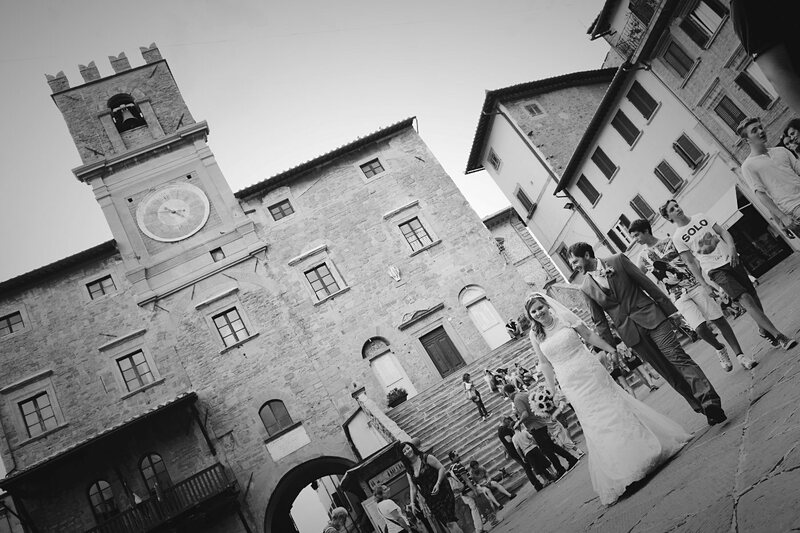 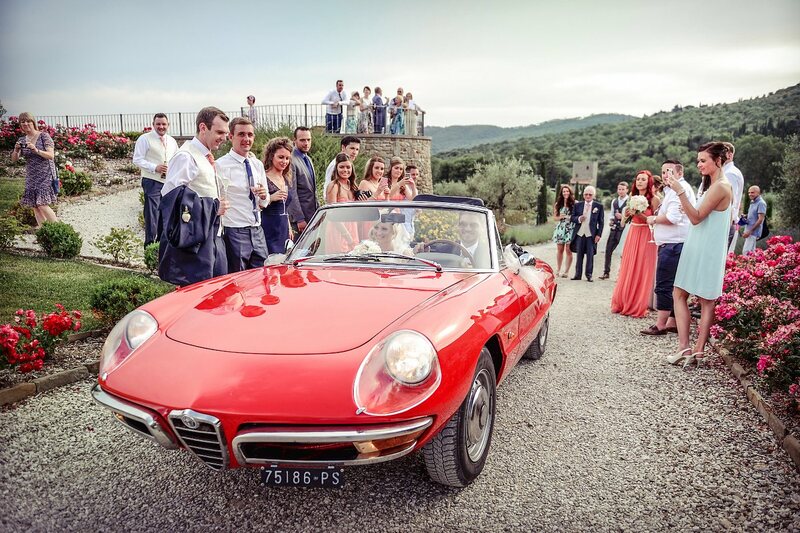 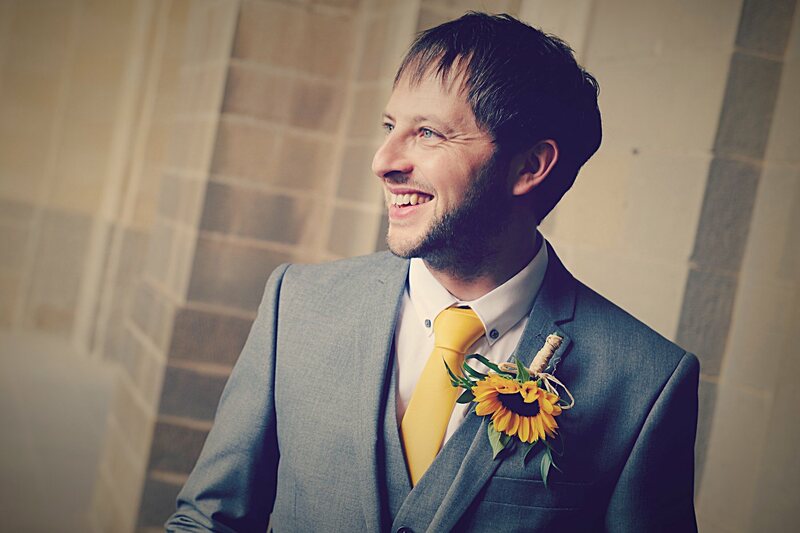 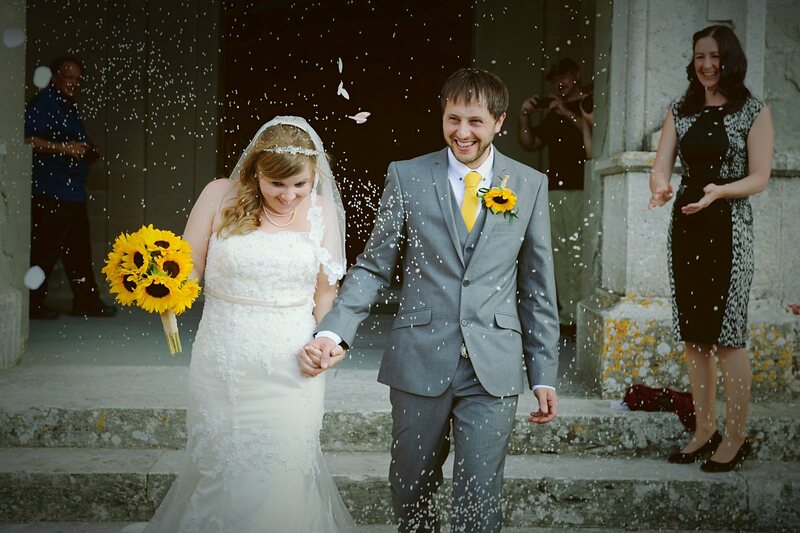 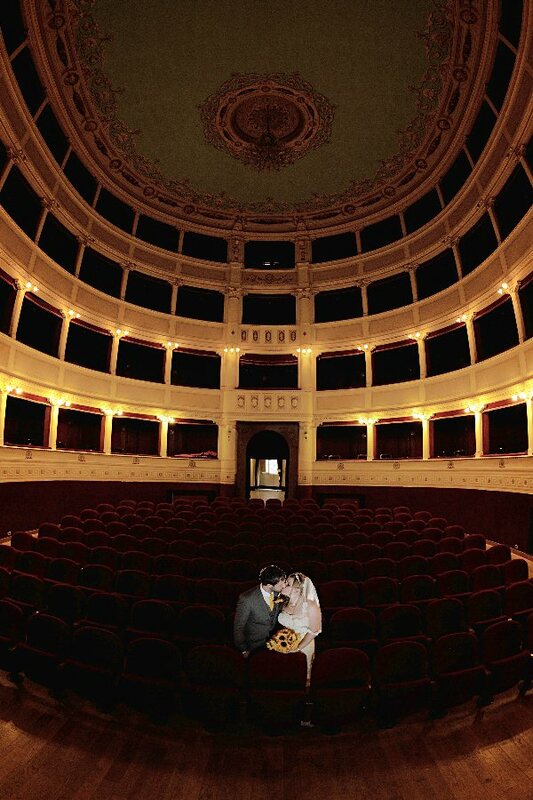 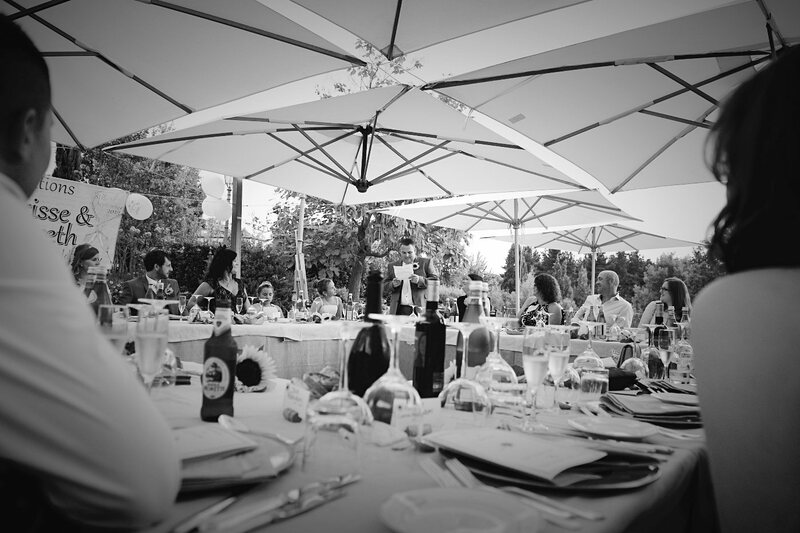 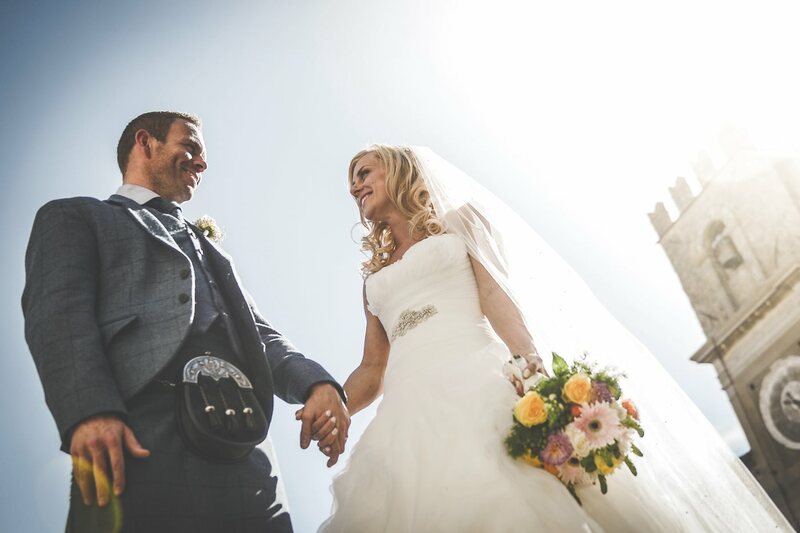 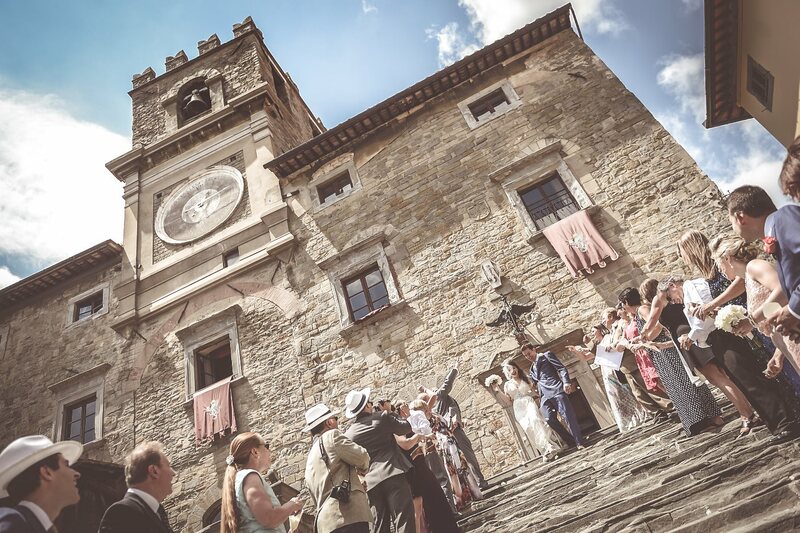 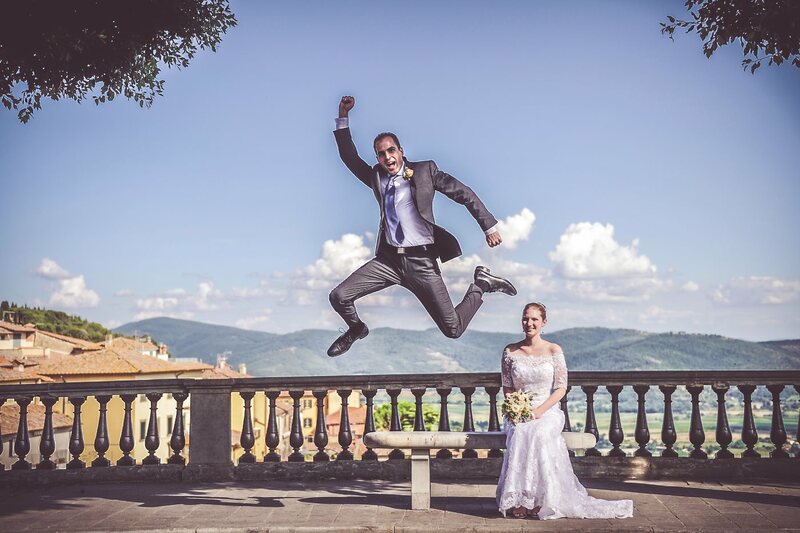 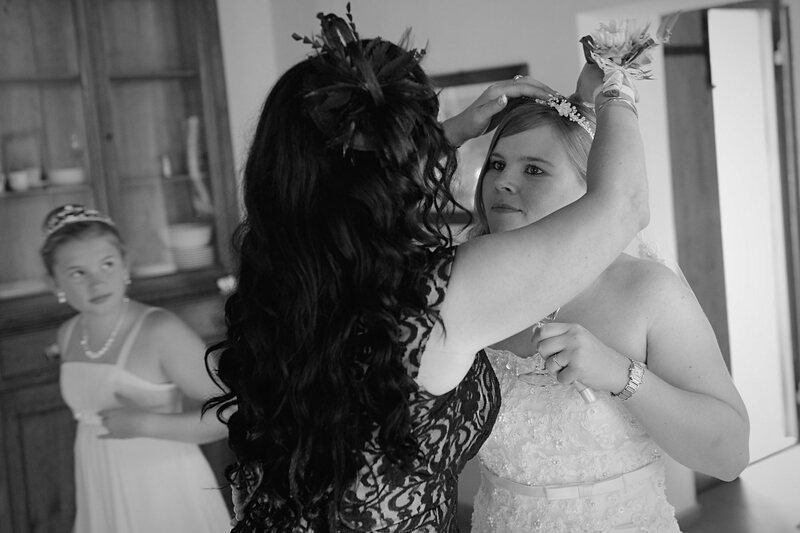 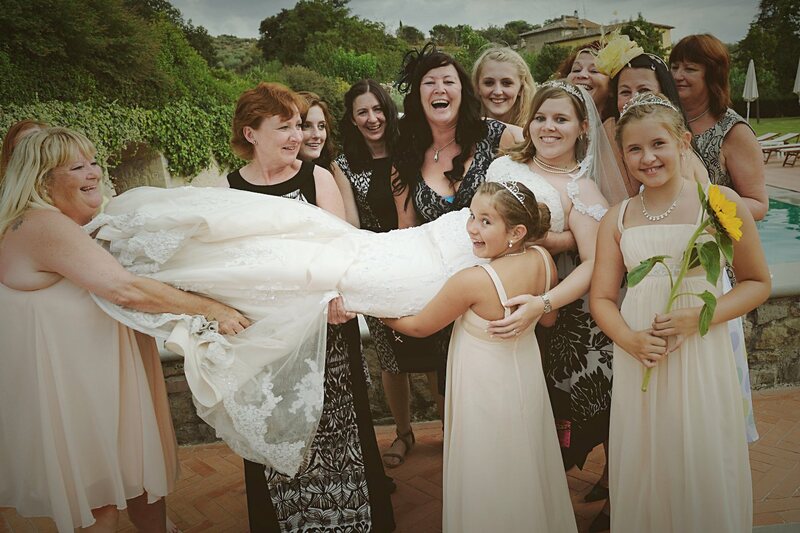 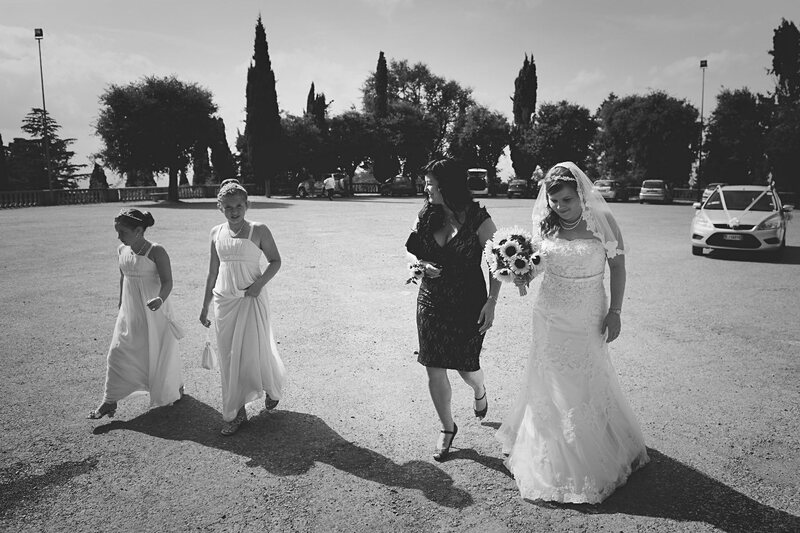 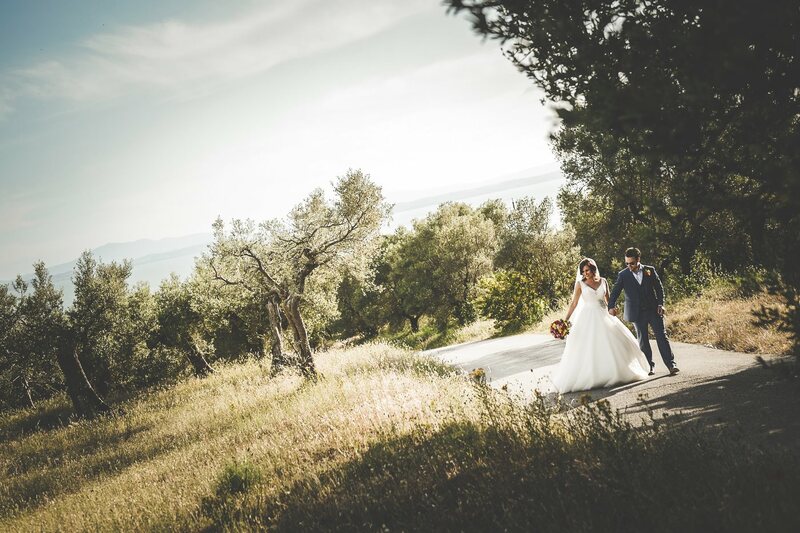 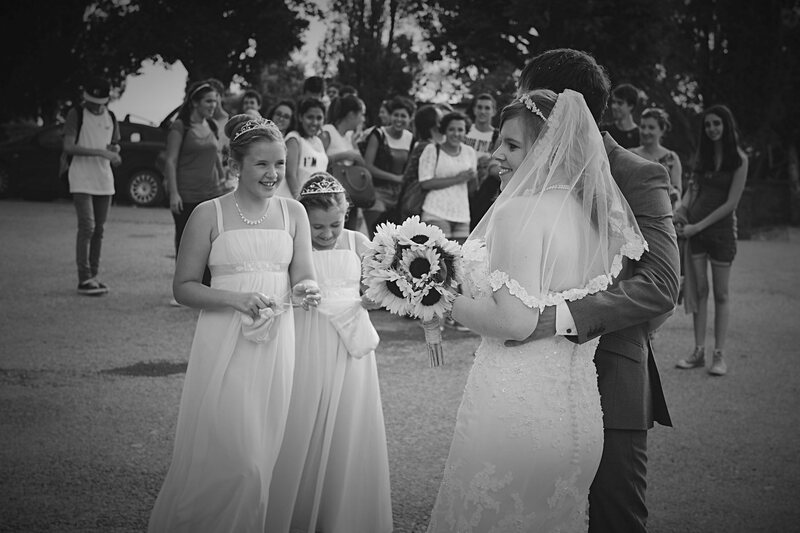 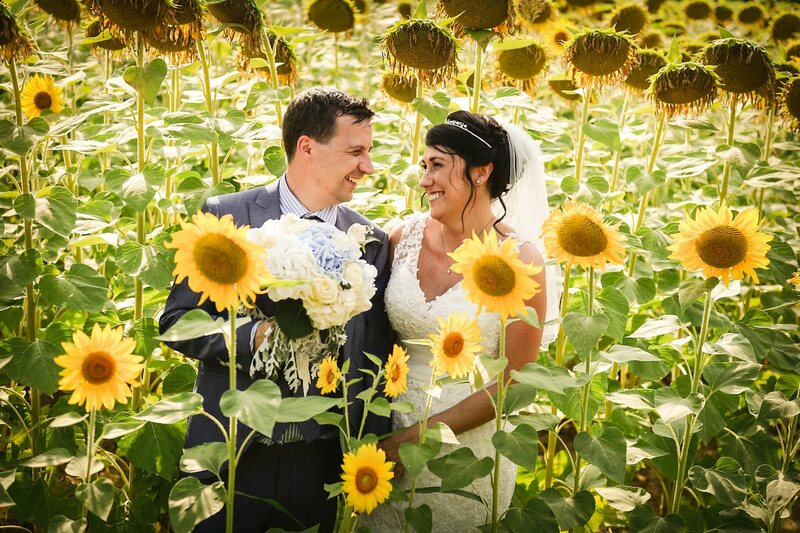 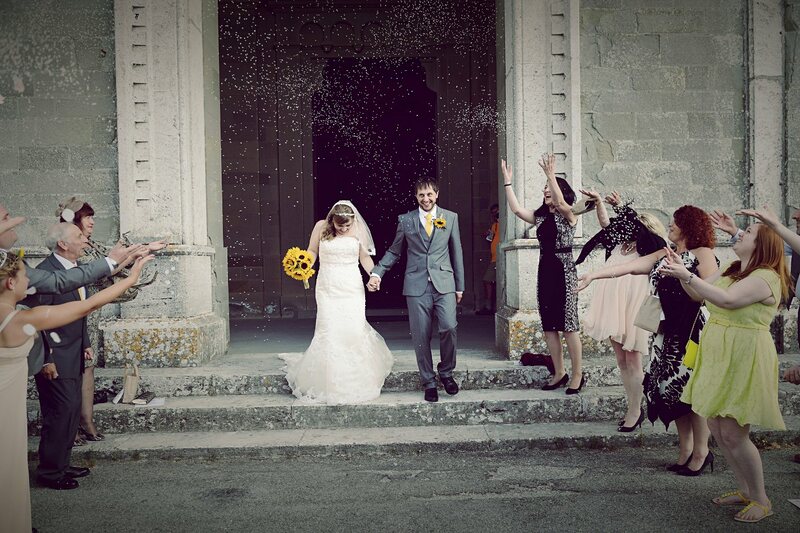 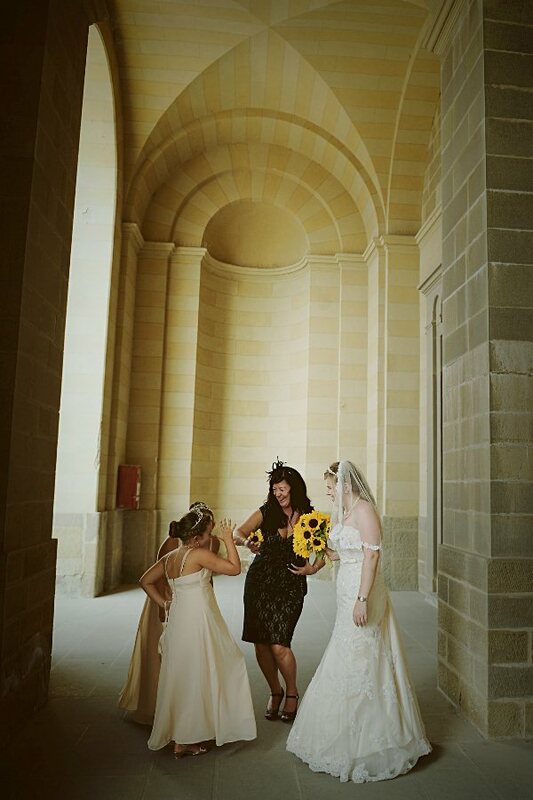 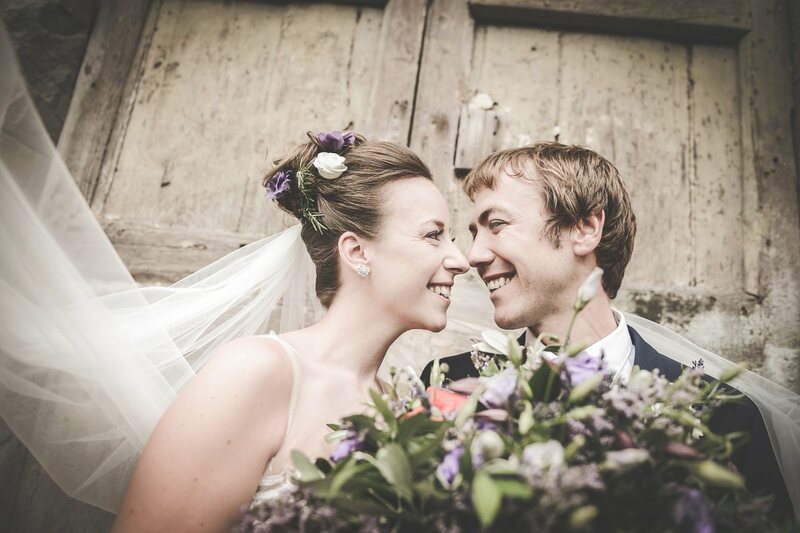 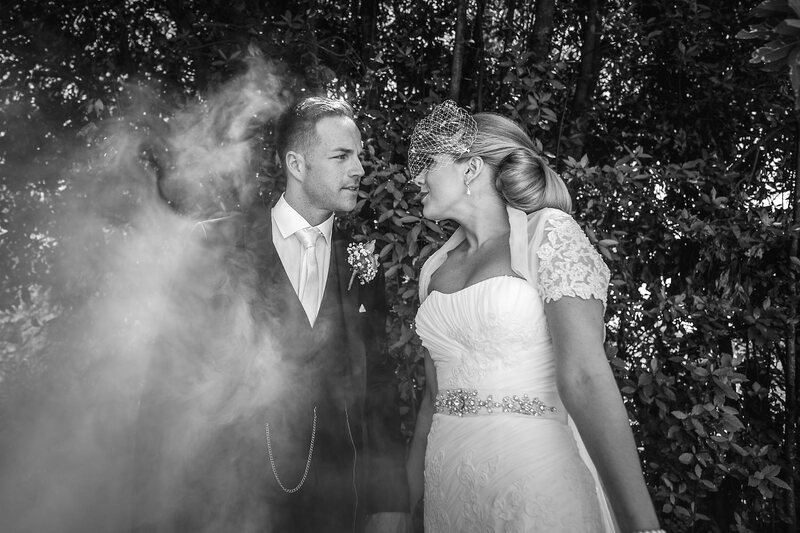 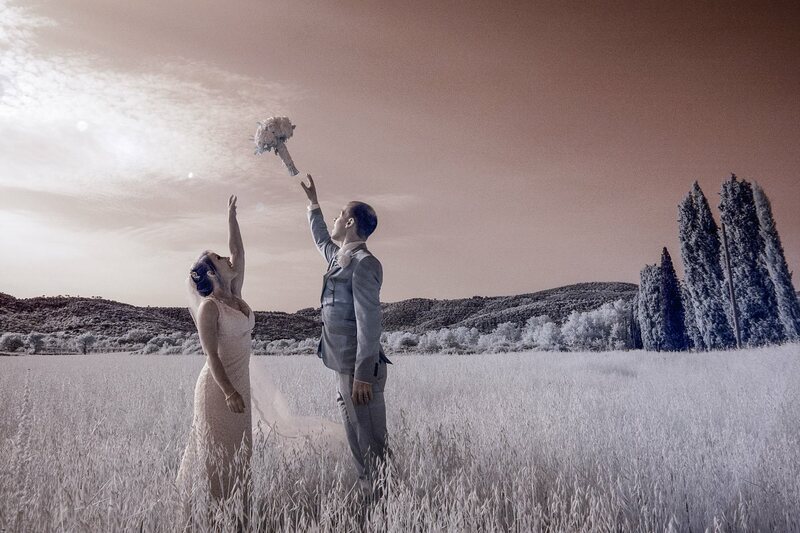 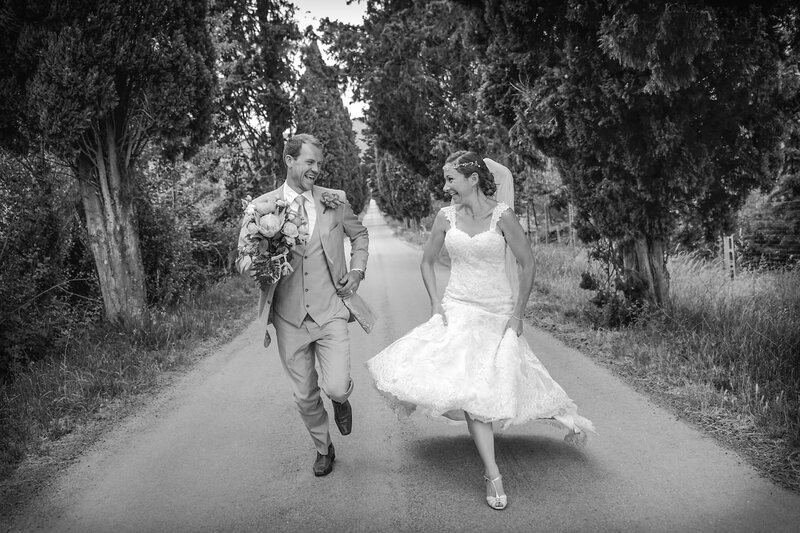 Real Wedding in Cortona & Borgo il Melone, Tuscany. 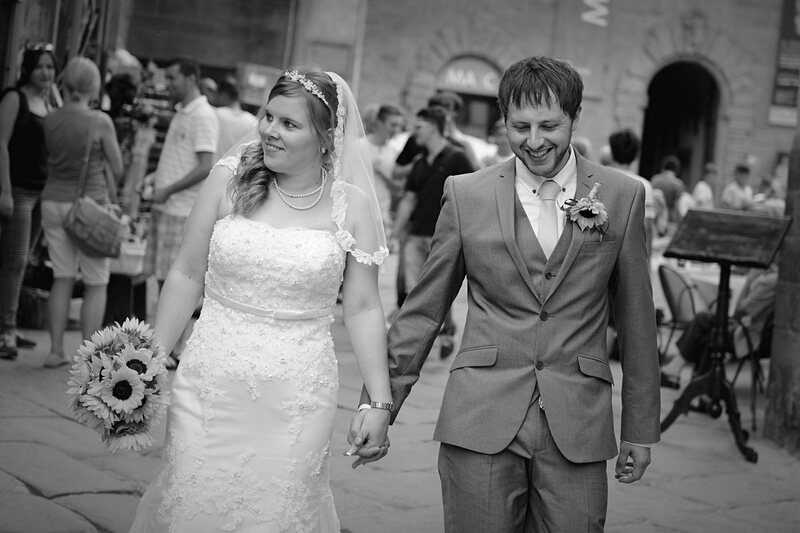 Sherisse & Gareth from England. 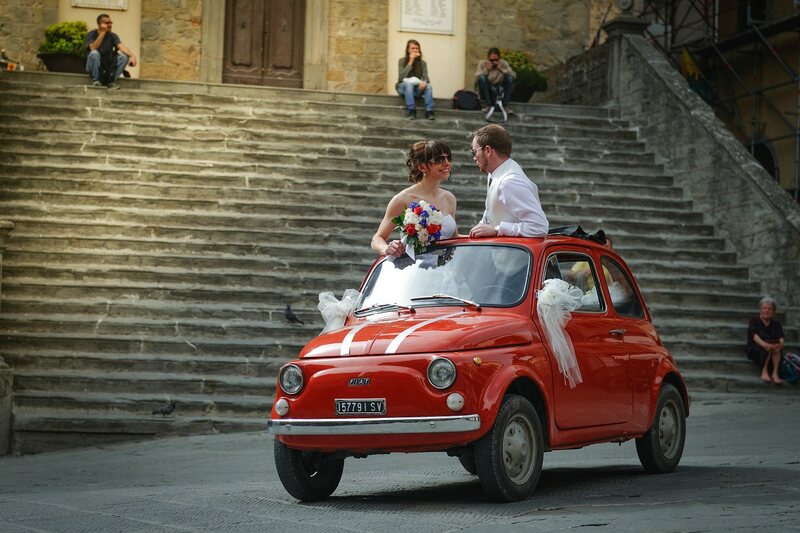 We are in Cortona an ancient town in the Tuscan hills, a sugestive scenary for Sherisse and Gareth's wedding. 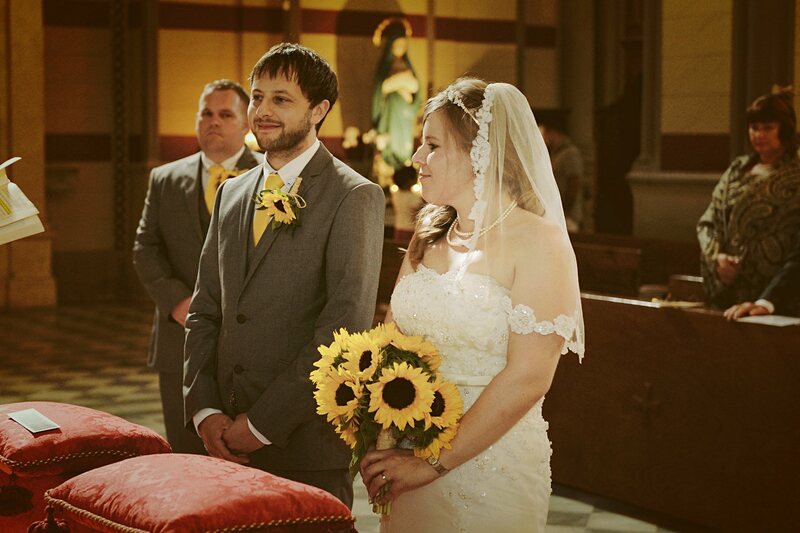 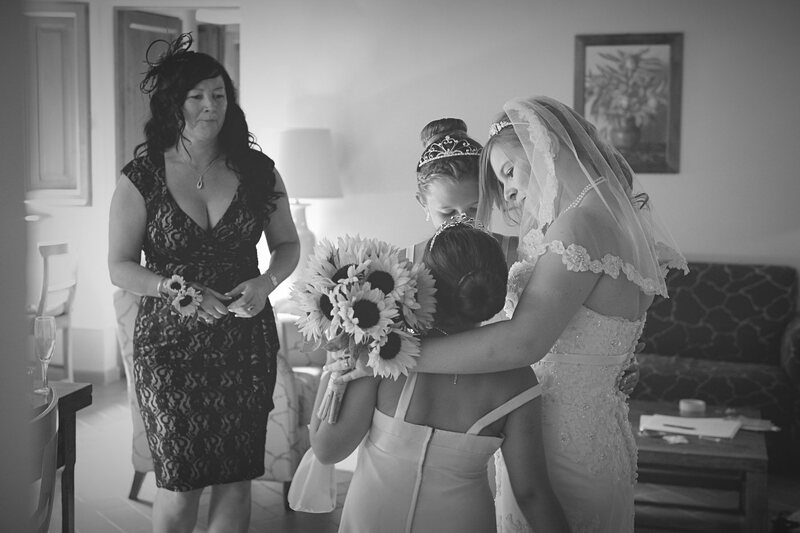 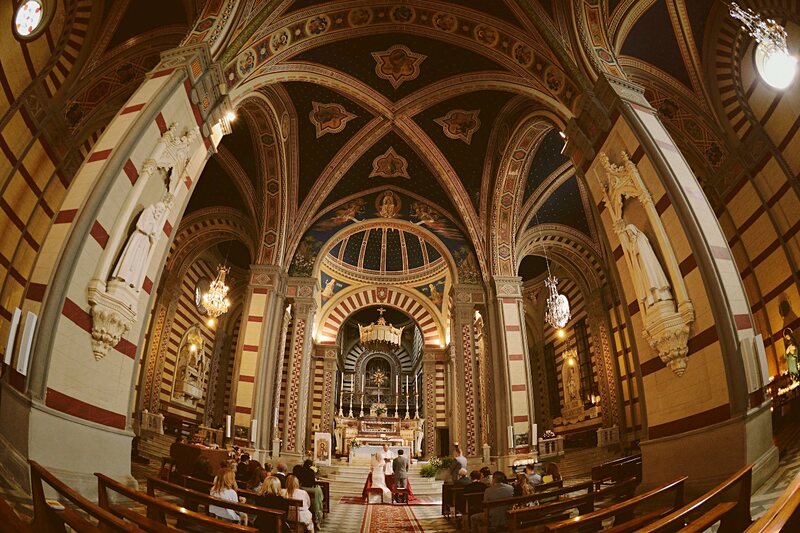 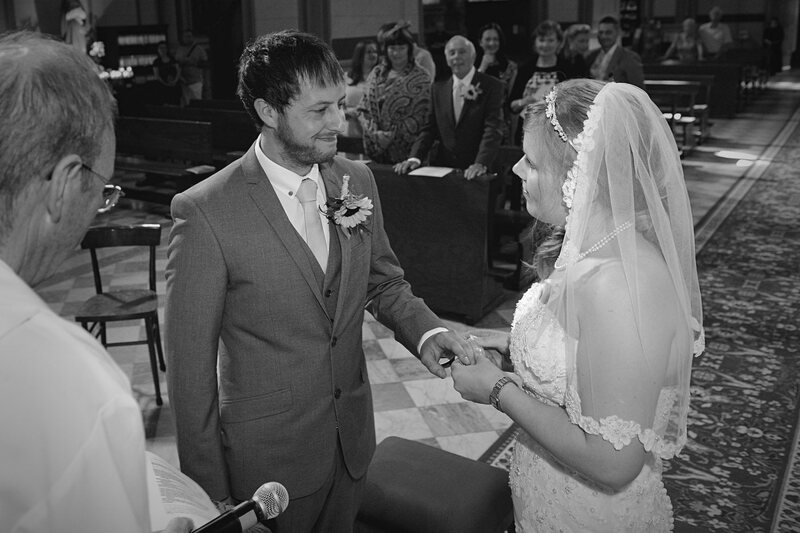 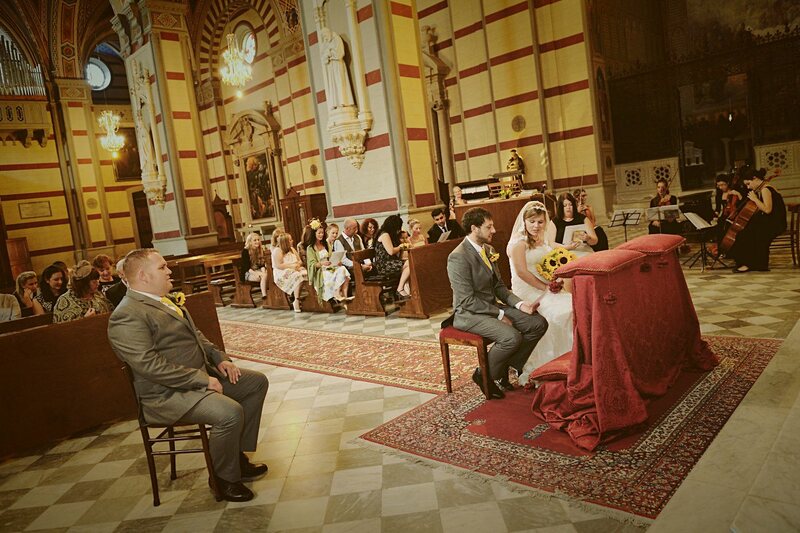 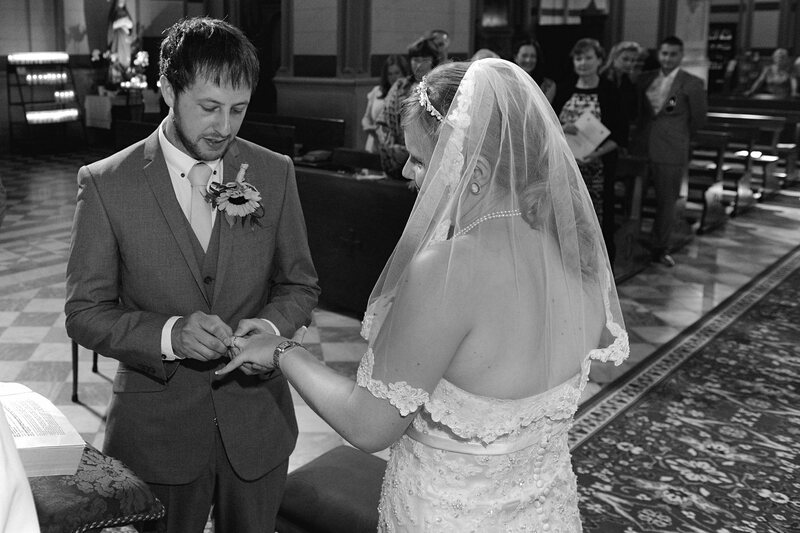 Wedding ceremony in the beautiful church of Santa Margherita. 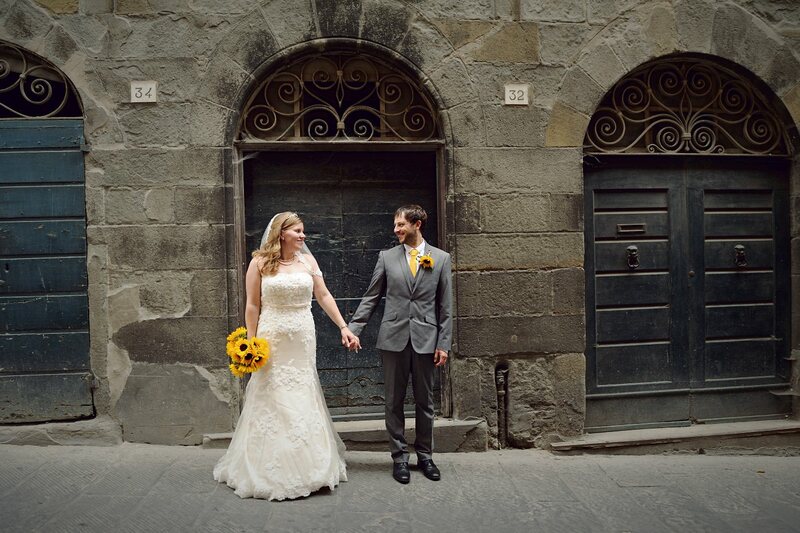 After the ceremony photos in the historic center of Cortona, included also a stop in the Signorelli theater, the old theater of Cortona, and the rest of wedding party at the Borgo il Melone.